Okay. So, let's go back to the blocks configuration page. We'll go back to block layout here. So, when we're trying to track down something in our code base, what we need is a unique string to search for that will allow us to kind of narrow down where we're looking. Now, for example, powered by Drupal is a good phrase. It doesn't seem just kind of intuitively that there would be many examples of powered by Drupal inside of the code base. Chances are most of them have something to do with this block, but if we contrast that with trying to figure out where this tools block comes form, chances are we can't just search for tools in the code base. Tools is going to show up multiple times in different contexts. So, we would need to kind of narrow it down, figure out some text or some class or ID inside of that block that would give us a clue as to where to find it in the code. So, in this case we're lucky. 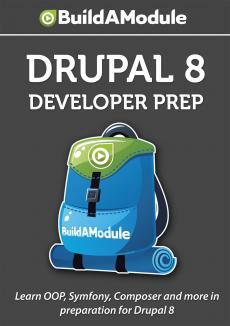 Powered by Drupal should be easy. So, I'm going to copy this text, and I'm going to jump to our code base and I'm going to do a search across the entire code base for powered by Drupal. I'll click find. Okay. We only have 20 matches.